1) New England’s Upcoming Schedule: The New England Patriots are sitting atop the AFC East at 5-2, with the Buffalo Bills a single game behind. Tom Brady and Co. are hosting the 3-4 Chicago Bears this week and are seemingly in a good spot as they continue their playoff push. The Pats’ upcoming schedule could put them in a tough spot, though. After Chicago, New England faces the Denver Broncos, the Indianapolis Colts, the Detroit Lions, the Green Bay Packers and the San Diego Chargers, teams that are all above .500 and in playoff contention. In fact, these opponents have combined for a total record of 26-6, a staggering .722 win percentage. This upcoming 5 game block will surely test Bill Belichick’s squad, especially with the Bills so close behind and a revitalized Miami Dolphins team on the upswing. Luckily for New England, their final 7 opponents have a mere 21-25-1 record and should they survive this coming challenge, they should find themselves in the playoffs once again. 2) Cardinals vs. Eagles and Its Implications: Both the Arizona Cardinals and Philadelphia Eagles have started strong this year, each accumulating 5-1 records. Arizona sits alone atop the NFC West, with San Francisco 1.5 games behind, while Philly remains tied with the Dallas Cowboys in the NFC East. The outcome of this matchup could have heavy meaning in the NFC playoff field. With a win, Arizona has the chance to take a full 2 game lead over the 4-3 San Francisco 49ers, but a loss would leave them with a single game advantage in the standings. The Eagles and Cowboys do not meet until Week 13 on Thanksgiving Thursday, but they are both vying to keep pace with each other. Dallas will host the 2-5 Washington franchise on Monday Night. With the Cowboys as heavy favorites, the pressure is all on Philadelphia to beat Arizona to remain tied for 1st place in the NFC East. 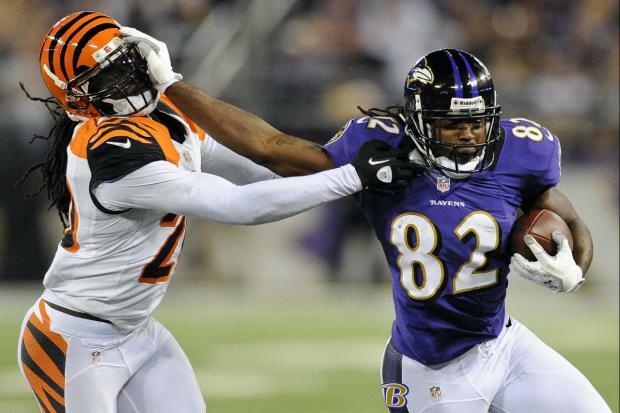 3) Bengals vs. Ravens: The Baltimore Ravens have been on a roll. At 5-2, they are in the driver’s seat of the AFC North. Since losing to Cincinnati in Week 1, Joe Flacco and Co. have won 5 out of 6, including wins over division foes Pittsburgh and Cleveland. The Cincinnati Bengals have had opposite luck. They began the season with 3 straight wins, but have failed to win since. Without star wide receiver AJ Green, Andy Dalton hasn’t had enough firepower to win games. This week will be a test for both sides. Baltimore can prove it is the best team in the division with a 3rd straight AFC North victory, while Cincy looks to put its season back on track with a season sweep of the Ravens in this divisional rematch.